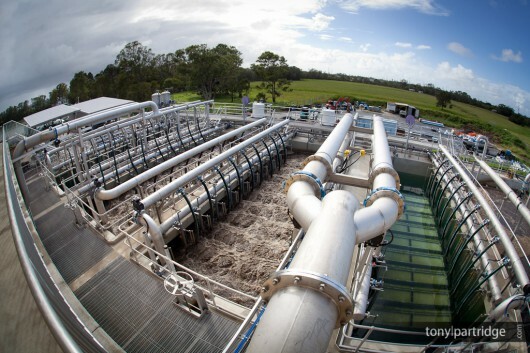 As part of Ballina Shire Council’s Urban Water Management Strategy the capacity of the Ballina Waste Water Treatment Plant was to be increased to allow for a growing community. The $45m upgrade was awarded to Haslin Constructions Pty Ltd who contracted Kennedy Surveying for all construction surveying, WAE surveying and auxiliary surveying services. The upgrade included the construction of a 21.6 MegaLitre/Day membrane treatment plant with a recycled water storage tank for residential reuse and ebb tide release. The construction of the upgrade took place while the existing plant was live, so particular attention for survey requirements were placed on survey control locations, to ensure the integrity of the survey network could be maintained through the project, without causing delays in re-establishment. Kennedy Surveying provided detail surveys for design, construction set-out, service location and Work as Executed surveys, while adhering to strict WHS policies and deadlines.